Cloak of the Light is the first book of the “Wars of the Realm” series by Chuck Black. Drew Carter is the main character in this book, and an accident in a physics lab leaves Drew blind. However, his sight miraculously returns, and Drew discovers the accident has given him skills and sight beyond that of a normal man. Drew witnesses things normal humans cannot see — invaders, causing him to question his own sanity. Then he meets Sydney Carlyle, a girl he is attracted to, who offers encouragement through her faith. However, Drew wants nothing to do with that kind of faith in his own life. Then he begins to notice the actions of the invaders as well as the actions of human beings. Is there a connection between the invaders and the humans? Drew becomes involved in a battle as he simply tries to help people he sees in need. In so doing, he angers a tough street gang who want him dead. The dark invaders also seem to want to get rid of him. Will Drew find the truth of the invaders in time? What a great read! I could NOT put this book down, and it ramped up my emotions as Drew faced danger in order to help others, and yet, Drew was missing something and I wanted him to find it which also ramped up some frustration. But I could not stop turning pages. I was too invested in these characters and the plot line. I had to see how it would all end. 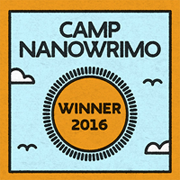 By the end of the book, Drew is a little closer to finding the truth, but there’s still the problem of the invaders. Therefore, it didn’t take me long to pick up the next book in the War of the Realms series: Rise of the Fallen. There is one more after this: Light of the Last, and I’m sure I won’t be reading much of anything else until I get through this trilogy. 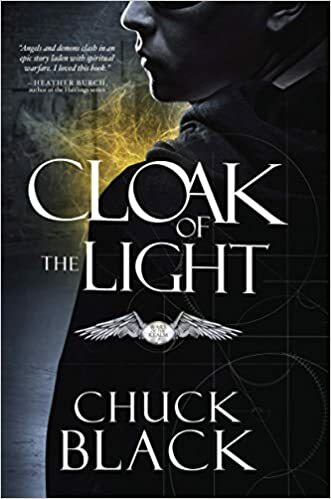 If you like books filled with danger, suspense, action, mystery, with a little sci-fi and romance tossed in, you’ll love Cloak of the Light by Chuck Black.